Voice Marketing is your full service brand development and marketing agency. Voice Marketing is a full-service advertising agency that has been dedicated to helping businesses succeed and achieve tangible results for over 20 years. We have empowered thousands of clients over the last two decades by employing a highly skilled staff and utilizing top-of-the-line services, including brand development, SEO, social media, graphic design, and everything in between. 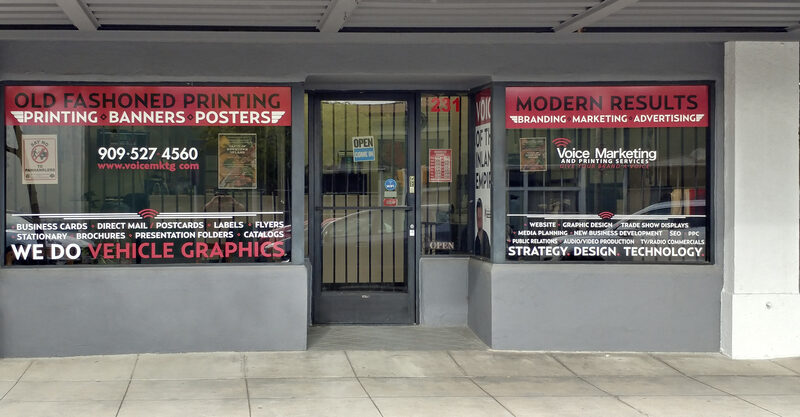 We also offer printing, strategic advertising and media planning and placement services to address all of your marketing needs. Voice of the Inland Empire is the longest-running, most popular TV and internet talk show in the Inland Empire, reaching over 300,000 subscribers throughout Southern California. The show is a weekly 30-minute public affairs type of program during which local influential people, business, politics, and news are discussed.